Licensed From – EMI Music Korea Ltd.
CD housed in a jewel case inside a plastic slipcover, along with a folded poster. Includes 6-panel foldout booklet, along with an insert with Korean liner notes. ℗&© 2007 Aircheology exclusive license to Virgin Music a division of EMI Music France. Xavier Veilhan © Adagp, Paris 2006. Manufactured by HWA EUM. 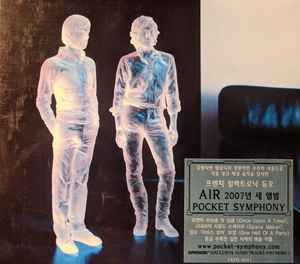 Made in Korea under license from EMI Music Korea Ltd. 2007.03.